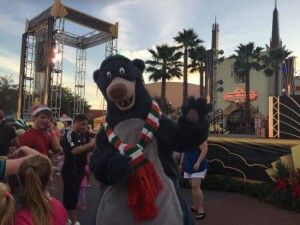 It was a busy week at Disney’s Hollywood Studios, as we saw the opening of five new experiences at the park. In anticipation of some major additions coming to Hollywood Studios, many old attractions had been closed, leaving large vacant spaces within this park. 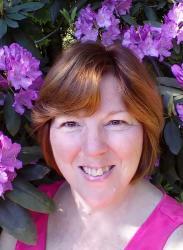 Change takes time. Little by little, those empty spaces are being filled. Here are some new things that you can look forward to right now when you visit Hollywood Studios. 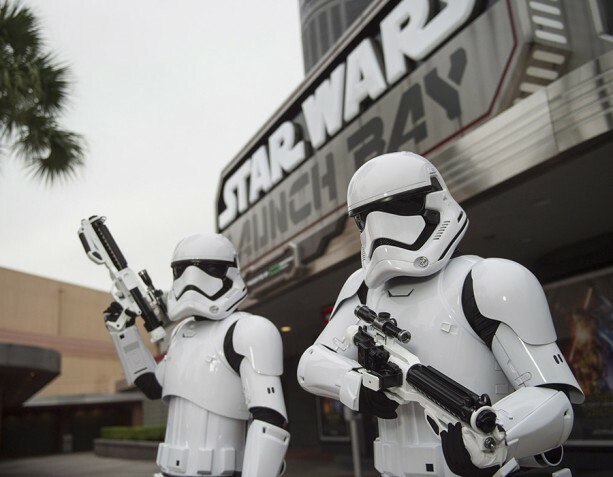 Star Wars Launch Bay offers the opportunity to experience Star Wars in the park in an all-new way – every day! New experiences now bring that galaxy far, far away, a little closer. Star Wars Launch Bay will take you into the Star Wars saga and the upcoming film, Star Wars: The Force Awakens, with special exhibits and peeks behind-the-scenes, special merchandise and opportunities to encounter Chewbacca and Darth Vader. As work begins next year on the 14-acre Star Wars-themed land at Disney’s Hollywood Studios, it is unfortunate that Star Wars Weekends will not be offered in the foreseen future. Star Wars Weekends has been a great way to enjoy the saga for few days every year, now the Force will be with Disney’s Hollywood Studios every day. 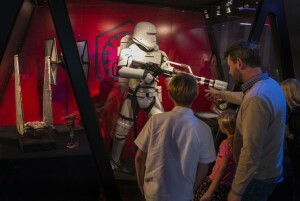 With Star Wars Launch Bay and other new Star Wars experiences, you’ll be able to step into the Star Wars Saga every time you visit Disney’s Hollywood Studios. 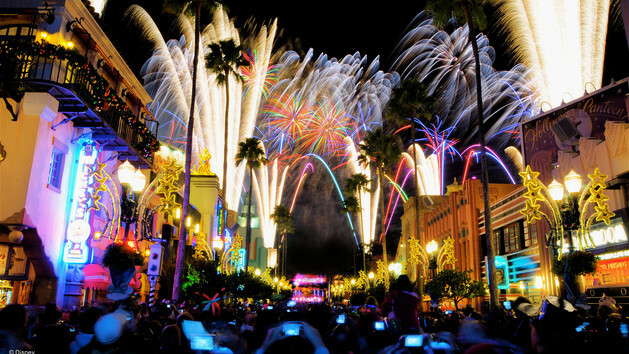 An all-new special event venue, Sunset Showcase on Sunset Boulevard is now open as well. This entertainment showplace has been custom designed to host a variety of different experiences over time. 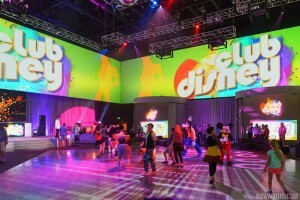 The premier engagement at the new sunset Showcase is Club Disney, the hottest spot in town for kids and characters alike! 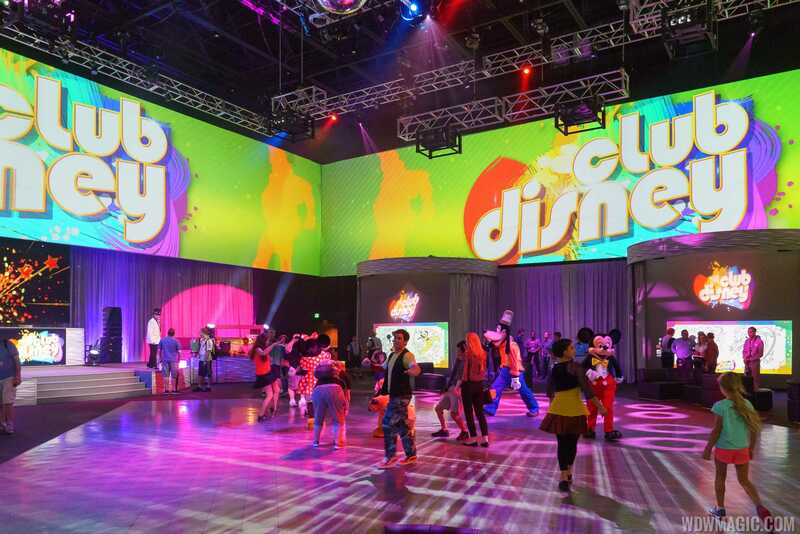 You can join Mickey and the gang and take to the dance floor in this electric club environment, where DJ Club Host spins the perfect playlist mix of your favorite Radio Disney top 40 songs as the dance floor and walls come alive with vivid images from classic Disney animation. There are also interactive coloring stations where you can tap into your inner artist and paint with your hands. Club Disney also features a cool seating area and snack station, where you can refuel and recharge – both yourself and your electronic devices – before heading out for more adventures in Disney’s Hollywood Studios. Sunset Showcase is located just off the courtyard near Rock’n’Roller Coaster, where the setting has already transitioned from the 1940’s to a more contemporary period. In an interesting twist, Club Disney isn’t the only dance party to open this week at Disney’s Hollywood Studios. After the sun goes down, Center Stage plays host to the Holidays Happen Here dance party which, despite it’s name, features a mixture of popular tunes to dance to. While Club Disney features Mickey, Minnie and other iconic Disney characters, Holidays happen Here is somewhat unique as it features a ton of characters not usually seen at the parks. On opening day, earlier this week, rare characters such as Robin Hood, the White Rabbit, Bolt, the Genie and Sebastian the crab were spotted dancing the night away. Though there were some regular characters in the mix, Stitch and Pluto, by and large this holiday dance party is a gathering of long lost friends. If you are looking to see and interact with some of these lesser viewed characters, Holidays Happen Here is a must for you! 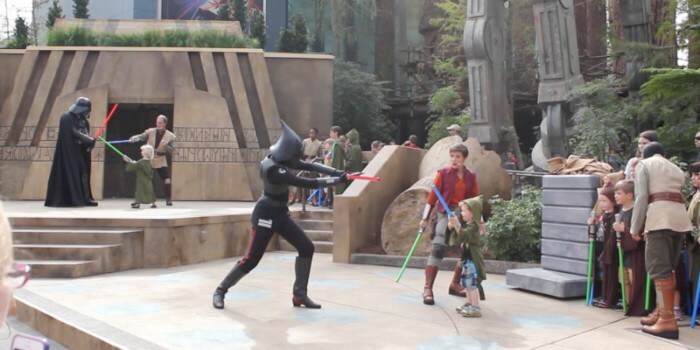 The Jedi Training Academy show has been running successfully for quite a long time at Disney’s Hollywood Studios, immersing younglings in the world of Jedi and challenging them to confront their fears. but, the stirring of the Force has beckoned a new group of young Padawans to the stage. Disney has re-imagined this show as The Jedi Training Academy: Trials of the Temple and in doing so, has created a more complete experience that actually helps this show stand on it’s own. Under the tutelage of a Jedi, the recruits learn how to use the Force – and their wit – to wield lightsabers. Now that the Empire has driven the Jedi to the distant corners of the galaxy, the training must proceed in secret Jedi temples. But, not even this precaution can shield the Jedi from the evil forces of the Dark Side for long. Soon, the novice Knights are challenged to use their new skills when they come face-to-face with Darth Vader – and now a new villain, the Seventh Sister from the popular Disney XD series Star Wars Rebels. The inclusion of a new villain makes this show feel fresher and a lot more approachable for younger fans as they have learned to love Star Wars through the Star Wars Rebels TV program. Originally scheduled to debut in January, it was announced this week that the brand new fireworks show would now be shown nightly, starting December 18, 2015! With a dazzling display of colors bursting above you, imagine the awe-inspiring sights of exploding starships during a legendary Star Wars space battle set to the classic music of both Star Wars and new theme music from Star Wars: The Force Awakens. This epic fireworks show will be visible throughout Disney’s Hollywood Studios. As construction begins on all of the new additions to Hollywood Studios, and we see the loss of many of our beloved attractions, I am confident that Disney will continue to offer new and exciting experiences to tide us over. Some of them may even become new favorites to us. I am always up for a new experience when I visit Walt Disney World. It is part of what keeps me going back. Check back here and follow us on our Facebook page, Our Laughing Place for information about new experiences and attractions. And, when you are ready to visit Walt Disney World, make sure you contact Our Laughing Place Travel. We offer free pixie dust service that’s a step above concierge!